During his life, he has produced more than 2,000 works of painting. His works are exhibited to various countries in the world, whether in Asia, Europe, America and Australia are always fascinating world of art lovers. Painter who won the title of Doctor Honoris Causa from the University of Singapore in 1974 was the work of his paintings, more often spill liquids directly from the tube of paint was then brushed the paint with his fingers, play and process color to express what he saw and felt about something. In terms of education, son's birth Cirebon Cirebon in 1907 which includes a formal education is quite high. For the generation born in 1907, HIS education, MULO, and later graduated from the AMS, including the education obtained only by a handful of children of the country. But the art of painting talent is very thick beat other disciplines in life, and indeed has made his name famous as a leader or leaders of other fields. When the Republic was proclaimed in 1945, many artists took part. Train cars and walls inscribed with the other "Freedom or death!". The words were taken from the cover of Bung Karno's speech "The Birth of Pancasila ', June 1, 1945. At that moment, Affandi got the assignment to make posters. Poster idea from Bung Karno, pictures of people in chains but the chains had been broken. Which serve as a model painter Abdullah. So what words should be written on the poster? Incidentally appears Chairil poet. Chairil Soedjojono ask, then lightly Chairil way: "BUNG, BUNG GO!" And be done with historic posters. 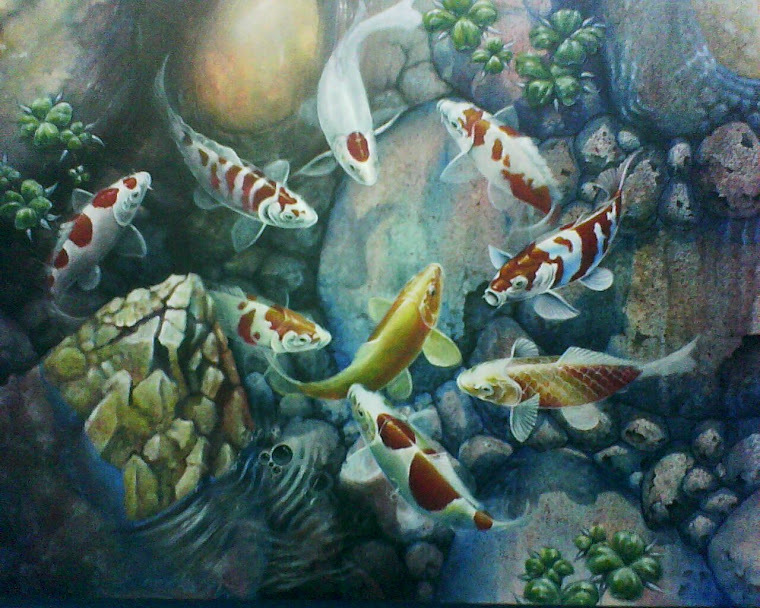 A group of painters memperbanyaknya day and night and sent to the regions. Where Did Chairil picked those words? It turned out the words, usually spoken by the prostitutes in Jakarta that offers merchandise at that time. Outstanding talent in painting himself never enorehkan interesting story of his life. One time, he never got a scholarship to study painting at Santiniketan, India, an academy founded by Rabindranath Tagore. When he had arrived in India, he was rejected on the grounds that he had not considered educational needs painting again. Finally, the cost of scholarships that have been received is used to hold exhibitions around the country India. On his return from India, Europe, in the fifties, Affandi nominated by the Party to represent the people do not belong to a party in the Constituent Assembly elections. And elected him, as Frof. Ir. Poerbodiningrat etc. Saloekoe to represent the people do not belong to a party. In the constituent assembly, according to the Resobowo Basuki also a painter friend, usually he's just quiet Affandi, sometimes sleeping. But when the commission meetings, Affandi spoke. He entered humanitarian commission (maybe now HAM) led Wikana, Affandi also close friends since before the revolution. Then what the topic is raised Affandi? "We're talking about the humanitarian, then how about Perikebinatangan?" Thus he began his oration. Of course, who heard all the laughing ger-Geran. Affandi no ordinary humanists. Painter who liked to wear gloves, also when called to the palace during the Suharto was still in power, intuition is very sharp. While living in the era of technology is often identified the modern era, he was still very close to the fauna, flora, and this universe. When Affandi question 'Perikebinatangan' in 1955, public awareness of the environment is still very low. Affandi also includes the central leadership Lekra (Lembaga Kebudayaan Rakyat), the largest cultural organization that was dissolved by the Suharto regime. He's part of art Art Institute) with Resobowo Basuki, Henk Ngantung, and so on. In the sixties, the U.S. anti-imperialist movement was intense enough mengagresi Vietnam. U.S. culture is also anti-called 'cultural imperialism'. American films, boycotted the country. At that time, Affandi got an invitation to exhibit at the USIS Jakarta. And Affandi was, exhibitions there. When a group of painters gathered Lekra, there is a question. Why is the leadership Affandi Lekra kok exhibition at the aggressor's representative. Responding to this problem, there is nyeletuk: "Mr. Affandi was led Lekra, but he could not distinguish between Lekra with Lepra!" friend said calmly. Karuan just all laughed. On his way to work, the degrees of Doctor Honoris Causa from the University of Singapore in 1974, is known as a painter who adopted or abstract expressionism. So that his paintings are often very difficult to understand by others, especially by someone who lay about the art world, if no explanation. But for lovers of painting it so that adds charm. Affandi was just one great painters of Indonesia along with other painters such as Raden Saleh, Basuki Abdullah and others. But because many advantages and privileges of his works, his admirers to her the various titles and boasts among other nicknames such as the nickname Painters New Ekspressionis Indonesia even nicknamed Maestro. Is the International Herald Tribune newspaper that called him the painter of New Ekspressionis Indonesia, while in Florence, Italy he had been given the title of Grand Maestro. Various awards and prizes like a flood the journey of life from the man who nearly all his life devoted to this art world. Among other things, in the year 1977 he received the Peace Prize of the International Dag Hammershjoeld. Even the Central Committee of the Diplomatic Academy of Peace PAX Mundi in Castelo San Marzano, Florence, Italy was picked to be members of the Academy of Human Rights of Man. From within their own country, do not lose many awards she had received, among them, the award "Star Services" which was awarded the Government of the Republic of Indonesia in 1978. And since 1986 he was also appointed as a Member of the Board of Trustees ISI (Institut Seni Indonesia) in Jogjakarta. Even a poet Force for 45 Chairil ever presented a special poem for her, entitled To the painter Affandi. To appreciate the great works, the various institutions or foundations are also trying to capture a memento of this great painter. In 1976, Prix International Dag Hammerskjoeld has published a keepsake book about the "Affandi". Thick book over 189 pages was published in 4 languages, namely English, Dutch, French, and Indonesia. Similarly, Doubleday Publishing Foundation, has published a book about Sumaatmadja Nugraha Affandi's works in 1975. Similarly, in order to commemorate 70 years of Affandi in 1978, the Jakarta Arts Council also published a book "70 Years Affandi" arrangement Ajip Rosidi, Zaini, Sudarmadji. And in order to commemorate 80 years of Affandi in 1987, Yayasan Bina Lestari Budaya Jakarta, published a book about "Affandi". The book compiled by Raka Sumichan and Umar Kayam thickness over 222 pages was published in two languages ie English and Indonesian. To close and introduce his works to art lovers, Affandi often held exhibitions in various places. In India, he has held exhibitions around to various cities. Similarly, in various countries of Europe, America and Australia. In Europe, he has held exhibitions among others in London, Amsterdam, Brussels, Paris and Rome. Similarly in countries such as the American continent in Brazil, Venice, San Paulo, and the United States. Such a case, too, who made his name known in different parts of the world. Despite melanglangbuana to various countries, Affandi is known as a simple and rather modestly. Favorite painter who eat rice with grilled tempeh have an idol are fairly unusual. Other people when choosing puppets to idols, usually choosing a good, handsome, brave, wise, such as Arjuna, Gatutkaca, or Werkudara Bhima, Krishna. However, Affandi choose which face Sokasrana ugly but very powerful. Puppet's character thinks is representative of much of his handsome face. Even so, the Ministry of Tourism Post and Telecommunication (Deparpostel) captured her face by issuing a new stamp series of art / artist Indonesia. According Helfy Dirix (Affandi's oldest grandson) images used for the stamp is a self portrait paintings of Affandi in 1974, when Affandi was so industrious and productive as well as painting in the museum at the edge of the residence time Gajahwong Yogyakarta. Simplicity way of thinking looks at a time, Affandi was confused myself when Western critics ask concepts and theory of painting. By Western critics, Affandi's paintings are considered to give a new style of expressionism flow. But when it actually Affandi asked,''what it flow?''. Even when his parents, Affandi blinded himself with the theories. In fact he was known as a painter who does not like to read. For him, the letters are small and large specter renik considered. In fact, in everyday life, he often says that he is a painter buffalo, diakunya nickname because he feels as stupid painter. Perhaps because the buffalo is an animal that is considered dumb and stupid. The maestro''attitude''who is not fond of theorizing and prefer to work in real earnest as evidenced by professing himself as a painter who not only seasonal exhibitions. Even against his chosen field, he was not overreacting. For example Affandi answer each time was asked why he paints. 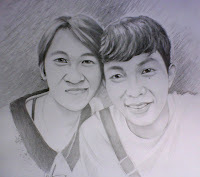 With lightly, he replied,''I paint because I can not write, I'm not good at talking. The language I use is the language of painting. ''For Affandi, painting is work. He paints like a man hungry. Until the elitist impression about as a painter, he just wants to be as''artist''. He further argued that he did not have a personality big enough to be called an artist, and he does not put art on the family's interests. ''If my child sick, I was going to stop painting,''he said. In terms of productivity, including the painter Affandi productive enough. According Affandi himself, he has painted more than 2000 pieces of paintings and about 300 fruit painting private collection is now stored in the Museum Affandi, Jogyakarta. Museum which was inaugurated by Fuad Hassan, Minister of Education and Culture as it was in its history has never been visited by former President Soeharto and former Prime Minister of Malaysia Dr. Mahathir Mohammad in June 1988 when both were still in power. The museum was founded in 1973 on the land that became his home. Until his death in May 1990, he remained to cultivate the profession as a painter. Activities that have become part of her life. He was buried not far from the museum, which he founded it. Currently, there are about 1,000 of the more paintings in the Museum Affandi, and 300 of them are works of Affandi. Affandi's paintings on display at the gallery is the work I have restropektif the historical value from the beginning of his career to finish, so not for sale. While II is the painting gallery friends Affandi both the living and the dead as Basuki Abdullah, Popo Iskandar, Hendra, Rusli, Fajar Sidik, and others. The third gallery contains paintings of Affandi's family.